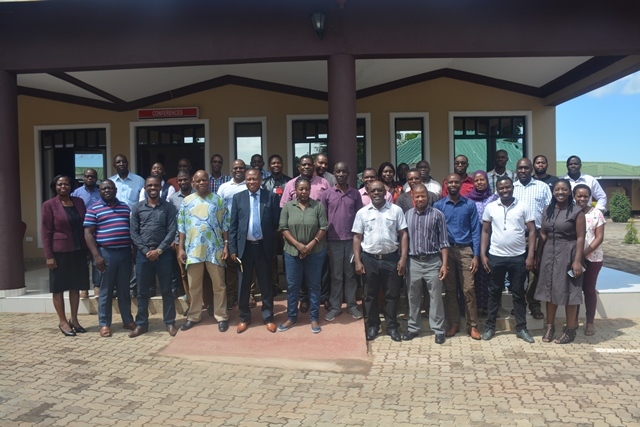 Academic members of staff at the Malawi University of Science and Technology (MUST) on April 8 and 9, 2019 held a workshop to hone their skills in teaching and learning approaches. As a university whose 2017-22 strategic plan looks at four pillars of research and valorisation, quality education, enabling environment and external engagement, sharpening lecturers teaching and learning skills is very critical as it improves quality of delivery and students’ experience. Speaking when he opened the workshop in Mulanje, Dr Davies Mweta, who is executive dean for the Malawi Institute of Technology (MIT), encouraged the lecturers to pay more attention as this is a rare opportunity for them to improve their teaching. He said MUST as a centre of academic excellence, it was important that the university’s teaching also reflected high levels of excellence. “This training is a deliberate effort from management to build our capacity. The roles of a teacher are preparation, delivery and assessment. If you remember well, the first training was on preparation and today we are talking about delivery. The next training will be on assessment,” said Dr Mweta. Facilitators of the training are education specialists from Chancellor College of the University of Malawi, Dr Dorothy Nampota and Dr Mercy Kishindo. Among others, the lecturers were taken through topics such as approaches to teaching, looking at current approaches and later devising learning activities and problems for teaching specific modules. They also looked at teaching for proficiency with a focus on planning. All MUST lecturers attended the training which was also a follow up to an initial one on planning.